Bathrooms come in many shapes and sizes, but typically have two common issues: they could use more light, and they could use more ventilation. Enter transom windows. 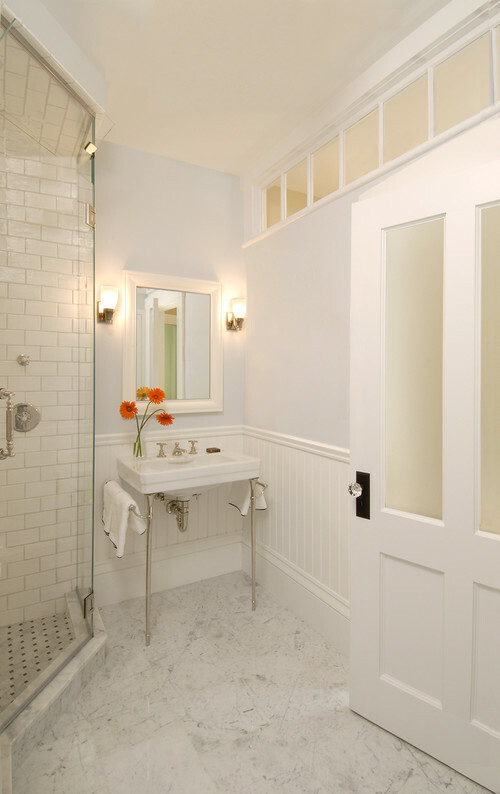 Hints: For bathrooms, transoms can go over doors or in walls. However, if the transom is immediately adjacent to the shower, consider having the transom made of cypress which is more resistant to rot than the standard poplar. Operable transoms are great for ventilation. If the operable transom is connected to the hallway, have the transom operate to the interior of the bathroom. That way, you will not see the side of the transom as you are walking down the hall. 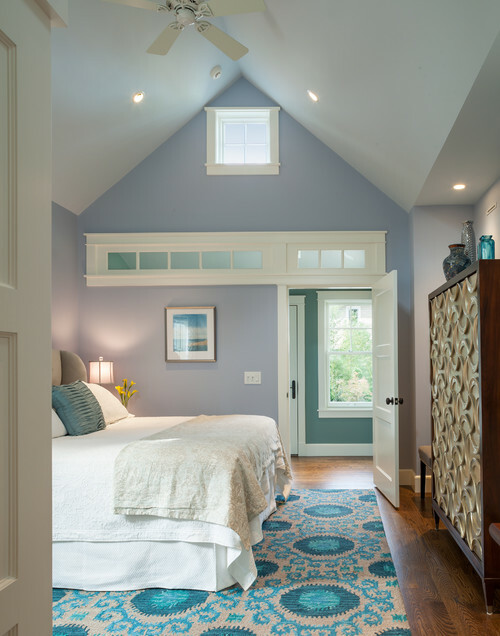 Get more light into bedrooms with transoms placed on perimeter interior walls. Notice how the change of color really makes the transom stand out below. Hints: Place transoms higher in walls to improve privacy -- or use frosted or other types of artistic glass to obscure the view. Is your bedroom, dining room, etc., landlocked or without an appropriate wall for the transom to shine through to an adjacent room? Install a transom with mirrored glass in a wall that is only open to the target side. Size the jamb so that drywall can remain covering the opposite (non-mirrored side). 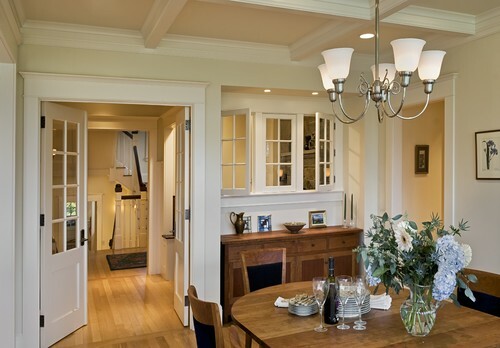 Transoms between rooms can connect them with more subtlety than a cased opening or French doors -- providing a clue as to the room's existence without necessary divulging its contents. 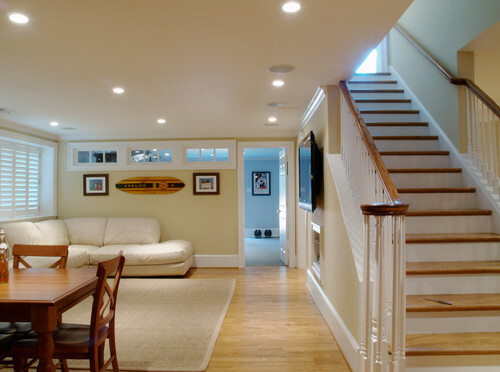 Hints: To place a transom high up in a load-bearing wall, consider building the header into the ceiling. This way you can move the transom up in the wall to just below the crown moulding as shown above. 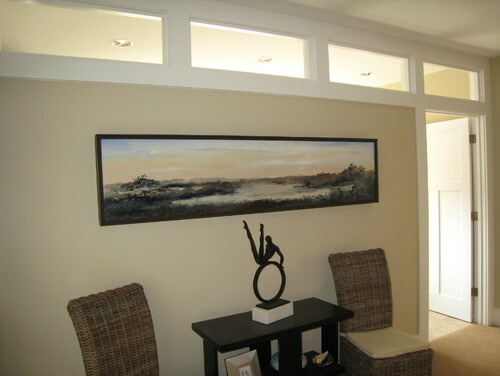 Most all of our transom designs can be made larger to form interior windows. Window walls are usually made of transoms, interior windows or both. Window walls bring adjacent rooms together and share light just like a framed hole in the wall, but they also provide more control over sound and climate than an ordinary opening in the wall provides. Unlike cased openings, window walls can be configured in such a way to provide a needed backstop for furniture. 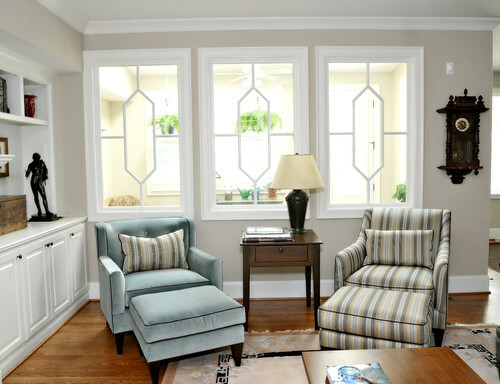 Traditional Living Room by Raleigh Specialty Contractors Superior Home Services, Inc. Hints: You will not find specific pricing for window walls or interior windows on this website. Instead, choose a few designs that you like and call us at the number at the top of the page. We will provide you a quote (usually free of charge) for the designs you are considering. We can also make interior windows open and close just like operating transoms. However operating interior windows usually work better with casement-style operators (that swing like a door). We build these as well. 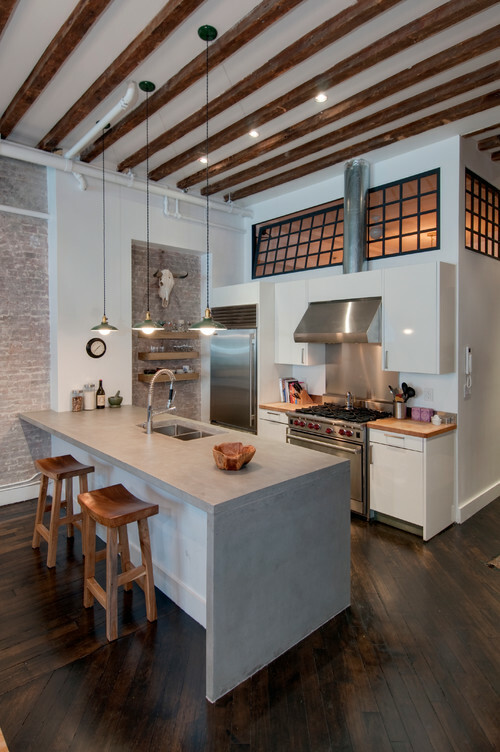 Lofts are unique spaces where openness and light can be at a premium. Keep that bright and open feeling while adding some privacy with some carefully placed transoms. 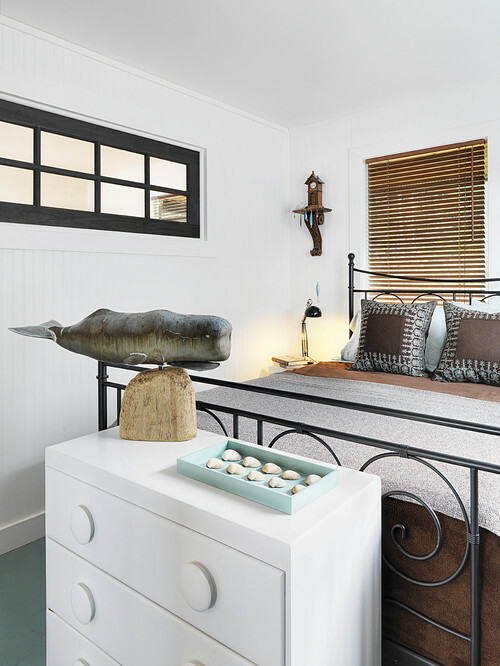 Transitional Bedroom by Jamestown Architects & Designers Ronald F. DiMauro Architects, Inc. Hints: Creativity is key for placement in lofts. We once had a customer successfully place transoms up high looking into a naturally well-lit attic. As long as site angles prevented people below from seeing the unfinished attic space, this customer successfully brought in light from an unlikely source!